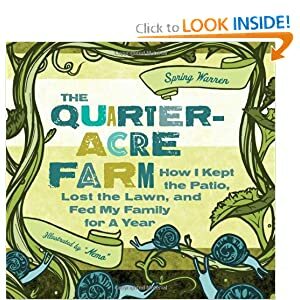 I read this book last year and got so much good gardening information that I just have to share it with you. And the thing I enjoyed the most about this book is that, as much as there is about all the amazing things she did and everything that worked, she also talked about the mistakes she made and the things that didn't turn out so well. Like the snails.